February 1st is National Dignity in Action Day where dignity and respect for all is celebrated. 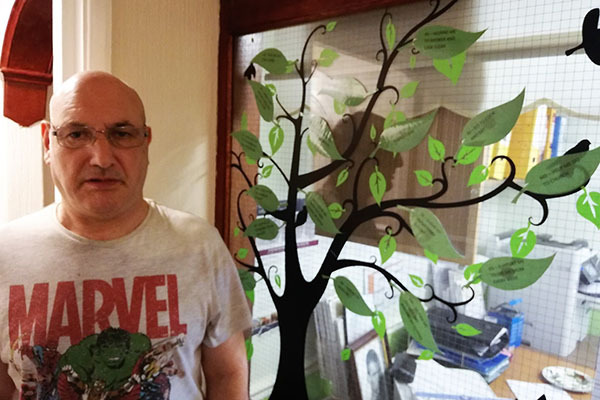 Residents and staff at The Mount have created a dignity tree with each stem of the tree quoting clients views about the service they receive. It is lovely to hear what our residents are saying about what they value about Prime Life and how staff actively support community involvement, maintaining personal relationships and just having fun! Neil Davy said “Going on days out and going to see my sister”. Arun Jain said ” Going to ‘Cook & Eat'” – this is a space where people meet up, cook a meal for each other and socialise. Arun says he loves going here as he can cook for others, meet his friends and have a laugh with the staff.